Import black pepper from Madagascar with MadaMarket Export. As Black pepper supplier, we call Black pepper (Piper Nigrum its scientific name) : the grains harvested before full maturity. Then, it will darken and get covered with slightly prominent wrinkles when dry. Black pepper yield : It varies greatly during the life of the plants : In intensive plantation, a 3 year old piper nigrum plant gives 1 to 2kg of fresh pepper. Between 4 to 7 years, the yield gradually increases from 3 to 10 kg. However, it decreases to 2 to 2.5 kg, when the plant achieves 15 year old: the age at which renewing the plantation becomes necessary to black pepper supplier. Black Pepper Harvesting : Berries ripen after 10 months after flowering. However, in the opposite to White pepper, Black pepper should be harvested not yet fully ripe. Black pepper supplier should harvest by hand by picking yellow grains with some red. Indeed, harvest will require many rounds during the harvest season – each 10 to 14 days. 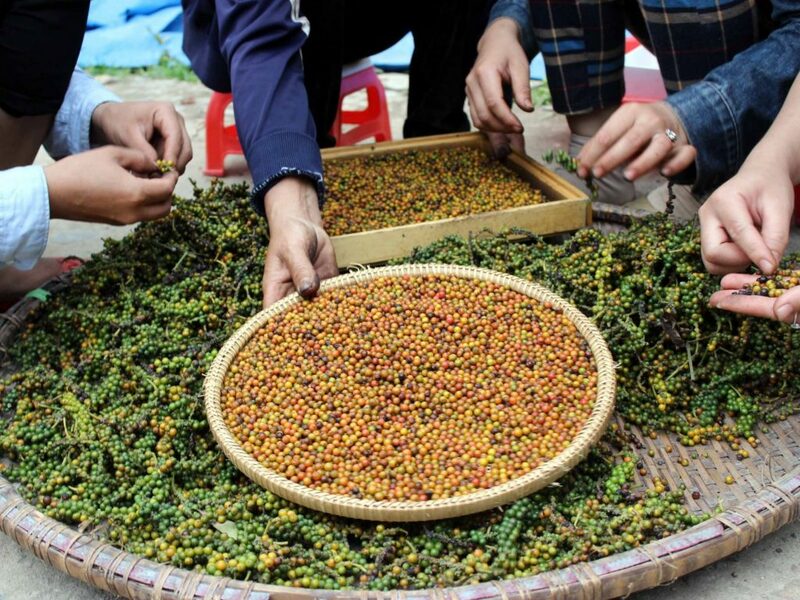 Black pepper cleaning/sorting : Drying the whole yellow fruit gives black pepper. After that, dry the grains in a heap and in the shade for 48 hours. Then, seize by hand. Dry grains in full sun for 3 days to a week. Bring back to warehouse during the night or in case of rain. Import black pepper. On average 100 kg of fresh peppers or piper nigrum give 35 Kg of dry marketable black pepper. Our preffered Payment Method is 30% advance and balance against scanned copy of documents. However, we can offer 100% irrevocable Letter Of Credit or L/C At Sight. 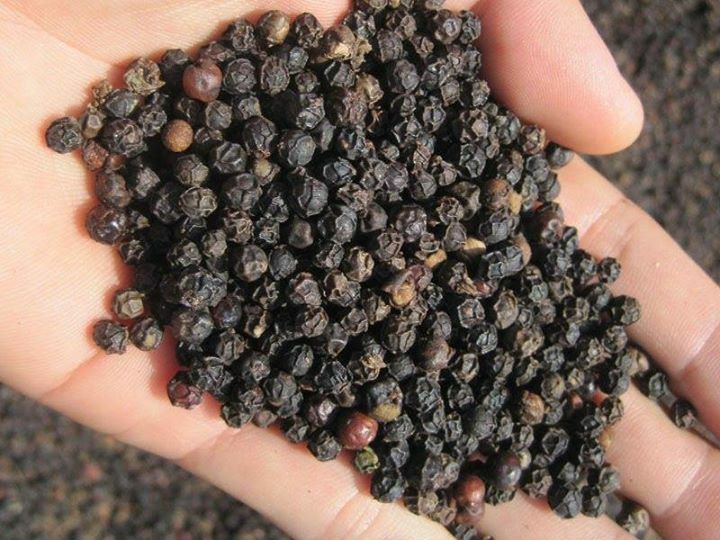 We offer handpicked, hand-sorted and sun-dried Black pepper or piper nigrum. No way to find industrial peppers with us. This ensures absolute best quality and keep the traditional way of producing pepper. Black pepper supplier Madagascar.